Shirdi Sai Baba Stories,Leelas and Teachings. : Swaal Aapke Jawaab Shri Sai Ke -Download Question And Answer Book. Wishing you all a very Happy and Sai blessed Guru Purnima. Many of us have experienced that we get Sai Baba's guidance in every testing situation of life .The only requisite for this is to keep firm faith on Shri Sai .We also feel that we all need His guidance/help/direction at certain point of time . As described in Sai Satcharitra Baba's guidance comes in various forms.Sometime it is direct order and on other occassions it is indicative . On the auspicious day of Gurupurnima I am uploading the above book .The book was originally written in Marathi but for the benefit of Hindi readers is translated into Hindi .The book contains Shri Sai Baba's guidance for various situation . 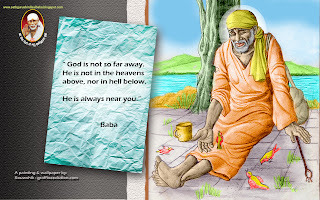 To get Sai Baba's guidance the devotee ,keeping full faith on Baba,has to think of a number between 1-720.The number chosen represent devotees doubt or state of bewilderment.The answer in the book against the number thought by the devotee is Sai Baba's guidance/answer. This book provides guidance to devotee’s queries. Please download book (Hindi version) and read instructions and follow same. 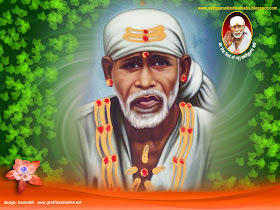 Whichever path devotee choose to get Baba's guidance like Shri Sai Satcharitra Parayan,Sai vrat ,Sai Naam Jaap ,Meditation,Visiting Sai Temple ,Seeking guidance from question answer book etc ,is the personal choice of the devotee but rests on foundation of firm faith on Baba .No path can be be said right or wrong ,big or small as long as faith and devotion is maintained. I have attached the mail of the devotee giving details of the book .Jai Sai Ram . Namaskar! As per Baba’s (" A leaf won’t move without his wish’’) and your intention , I am providing altogether 40 pages of the book ‘Swaal Aapke Jawaab Shri Sai Ke’ starting from front page to last covering page in PDF File format. You can sort out the thing like some blank pages roughly decorated or some words written by me long ago .It’s been around 20 years that this book was with me. I had bought it from one of the shops in Shirdi. The book I have with me is written in Hindi or may be originally it was written in Marathi and had been translated into Hindi thereafter. I am not aware of if it is translated into English language as well. This book is written by Shri Madhav Balkrishan Lele(Mumbai) great devotee of Baba and It has 720 answers ( numbering is done in devnagari (Sanskrit )language). Also while going through page by page you can find difficulty at some points as numbers are missing or at other point text is hidden because we have uploaded the book without tearing off or taking off the pages. So I request you to ask me if you need me, any time. Also you can see that photo of Baba on front page is torn off. Kindly attach another complete photo of Baba if you feel like. Also there is no need to publish my name unless and until it is necessary. You can provide this invaluable book to innumerable devotees of Baba through your incredible website and work. I am also thankful to my husband as he uploaded the book. I am very much thankful to Baba and you. As of now I consider myself blessed and being of any use.